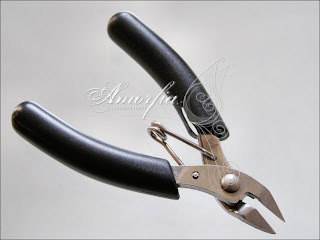 In wire work, you can do lots of things with your hands, but for precision and neat work, and for certain techniques, pliers are indispensable. These are some of the pliers in my arsenal that I use most of the time. These pliers are available in most of the hobby shops, Ebay, etc. and they are similar in price, dimension and quality. They are mostly used for making all kinds of loops, swirls, jump rings, etc. I bought these on Ebay. As for the application, the name says it all. 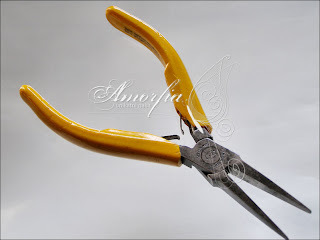 These are great for making jump rings, and for cutting the wire ends on jewelry that are hard to reach with bigger cutting pliers. 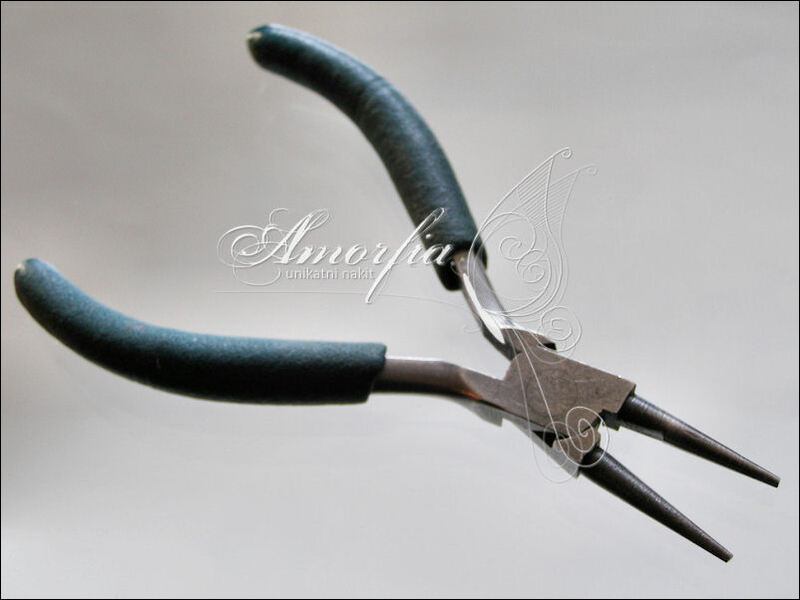 They are perfect for softer kinds of wires, such as sterling and fine silver wire, copper wire and bronze wire. For harder wires like brass or stainless steel wire it is better to buy bigger and more sturdier pliers. I got these pliers as a gift. 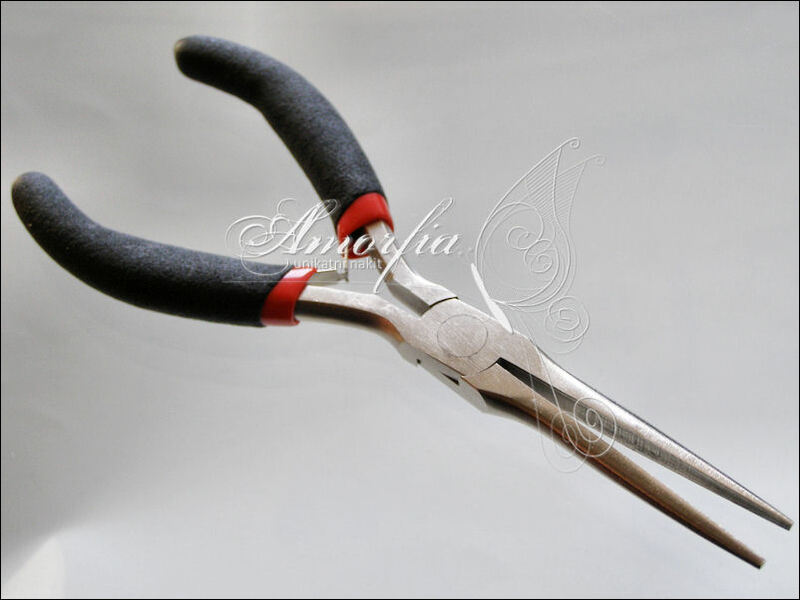 They are specialized tool for precision work with electronics. Compared to flat nose pliers available in hobby shops, they have better quality that really shows in working with wire. 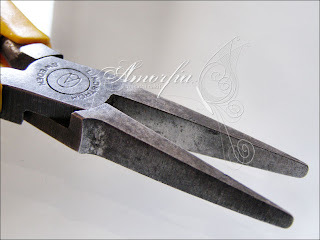 They don't damage the wire, and I mostly use them, together with round nose pliers for making the swirls, to hide wire ends, chainmaille, for wrapping the cabochons, straightening the wire, etc. These are easy to find in hobby shops and online. I use them when dealing with wire ends that are hard to reach, chainmaille and all the situations when I need a pair of pliers with flat inner side. What kind of pliers do you mostly use? 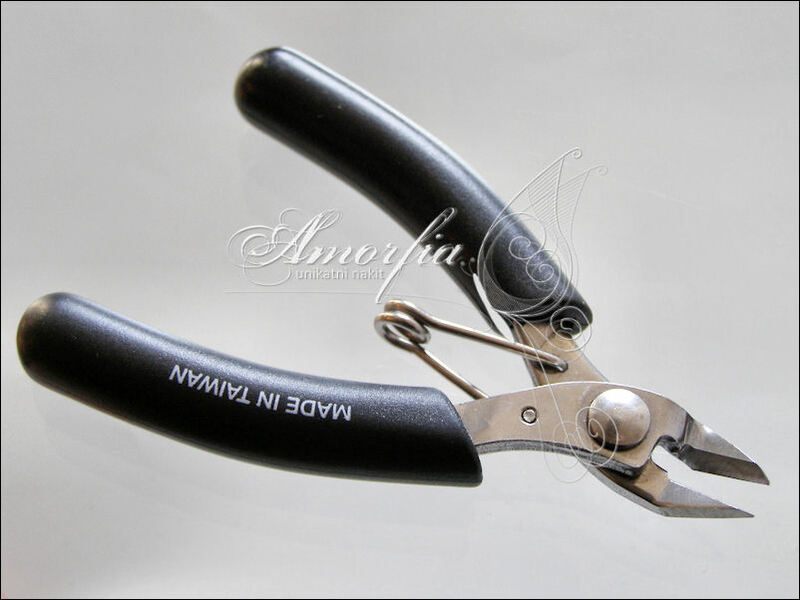 I can't make it through a day without my round nose pliers! I have a pair of jewelers shears that I have been using for over 20 years!